Jiiva’s earliest films, it can be said, were ahead of their time. Be it the murder mystery, Raam, the psychological drama, Katradhu Tamizh, or the first Tamil superhero film, Mugamoodi, regardless of their box office success, these were all films that weren’t run of the mill. The actor, for this reason, is confident about the reception to Kee, which he calls his “dream science fiction”. The film has been delayed by about two-three years. “When director Kalees pitched the story to the producers, all of them backed off thinking the idea was too futuristic. They weren't even aware that cyber crimes were happening around them. But luckily, Michael Rayappan sir believed in our vision and backed us." The actor plays a young ethical hacker in the film and quips that acting as a youngster is tougher than acting as a hacker. "Getting married and having a son has changed my mindset a lot; so, I had to mingle with youngsters born after 2000 to learn how technology has influenced their life." He feels fortunate to have belonged to a generation that saw both the inception and evolution of technology. "Being an 80s kid, I’ve seen black and white televisions, and then seen them turn into razor-thin displays. I’ve paid a bomb for phone calls, but today, you can call people from other countries for free. We all know the boon and bane of technology, but in recent times, we are hearing of people losing their life to games like PUBG. It’s true that we are also evolving in unexpected ways, and nobody seems to realise that." 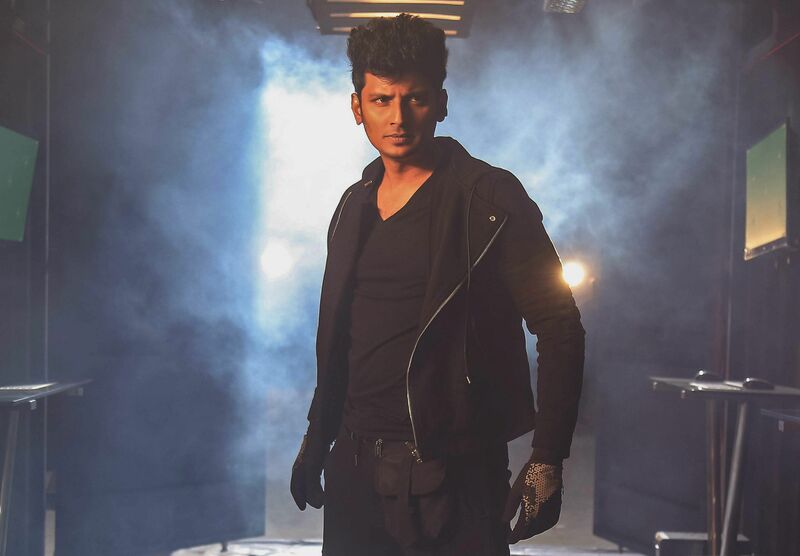 After beginning with some unusual films and characters, Jiiva’s career has since been full of safer films. But now again, he’s got films like Gorilla and Gypsy in the lineup. Could he be marking a return to what made him noteworthy? "I was able to experiment in the beginning, but I also made a lot of compromises. For instance, I hardly got paid for the films I did till 2012,” he reveals. “The roles I did in Raam and Katradhu Tamizh gave me an identity, but their theatrical run was limited. There came a time when producers stopped making films with me. And then commercially successful films turned me into a bankable actor. The responsibility as an actor increased and now when I sign a film, I think from many points of view." He’s sure that working on only experimental films will kill an actor’s career. "There has to be a good balance. For instance, when I go to Karaikudi, people there don’t ask me to do a film like Kattradhu Tamizh. They want me to do films like Thenavattu. People in North Chennai would rather that I do films like Siva Manasula Sakthi." Jiiva draws parallels with one of his favourite cricketers, Clive Lloyd who said he loved playing every single match. “I want to enjoy working on each film,” he says. “Ten years back, there were only four genres, but it’s not the case now. When I reach 40 or 50, I want to see variety in my filmography. I'm confident that all my upcoming films will be a sign of excellence." Interestingly, this actor who loves cricket, plays Krishnamachari Srikkanth in his Hindi debut, '83, co-starring Ranveer Singh. "It's a great honour. I've met him a couple of times before, but I'm yet to talk to him to prepare for '83. I am super excited about shooting at Lord's."